This ship, originally the Allan Line's Alsatian, was built in Glasgow by William Beardmore & Sons. 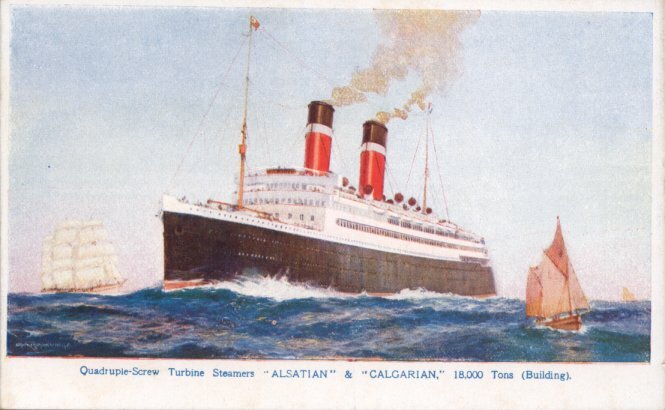 The first transatlantic liner with a cruiser stern, Alsatian was launched in March 1913, and made her maiden voyage 17 January 1914, Liverpool-St. John, New Brunswick. Alsatian served as an armed merchant cruiser from August 1914 until December 1918. During this service, she took part in rescuing the crew of White Star's Oceanic which was wrecked in September 1914. In 1917, the acquisition of Alsatian and the rest of the Allan Line by Canadian Pacific, a process that had begun in 1913, was completed. 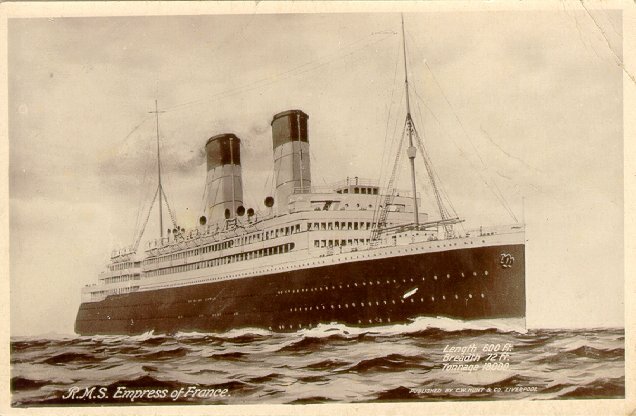 During a 1919 overhaul, Alsatian was renamed Empress of France. 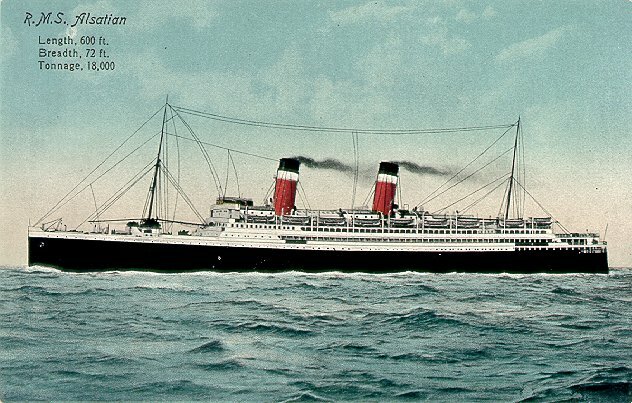 She returned to service in September 1919, again serving Canada, although her European terminus moved from Liverpool to Southampton to Hamburg and back to Southampton between 1922 and 1928. She set three Canadian service speed records: westbound in August 1920 and July 1924, and eastbound in July 1924, and also set a record for fastest Liverpool-Quebec-Liverpool roundtrip, in July 1921. 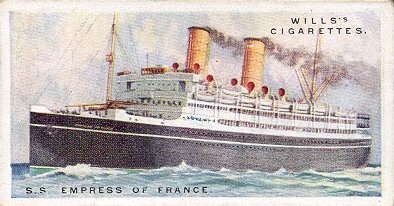 Converted from coal to oil fuel in 1924, Empress of France also made several round-the-world cruises during the 1920s. 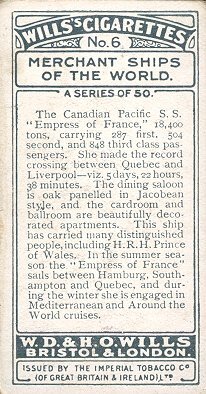 Empress of France served on Canadian Pacific's transpacific service for a year beginning in October 1928 and then returned to the Liverpool-Canada route. She made her final voyage, Southampton-Cherbourg-Quebec, in September 1931 and was then laid up. She was scrapped in 1934.